Now that we have got to the end of our busy Isle of Wight walking and cycling season we have got a little time to sit back and reflect on the past year. 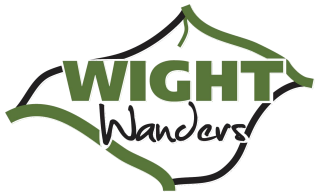 It has been a successful and rewarding year that has gone so quickly our Wight Wanders team have hard to ensure all our guests holiday are enjoyable, hassle free and full of happy memories they can treasure. It is a lovely feeling and very rewarding to tailor a holiday to fit in with special requirements ranging from a charity cycle ride around the Island to a walking holiday to celebrate a special event like an anniversary or milestone birthday. We appreciate our customer?s views, observations and generous feedback and would like to thank everyone who sent us some photos and wonderful comments. It gives us pleasure to know our guests are travelling around the Isle of Wight having the adventure of their lives and we played some part in that happiness. We would like to thank all of our accommodation providers for their constant dedication and hard work ensuring the comfort of our guests is always a priority, especially the ones who go that extra mile to ensure high standards and our guests are well looked after. We have been reading through 2010?s feedback forms and there have been some lovely comments and we would like to send special thank you to the most popular guest house for 2010 which is the Anchorage Guest House in Mill Hill, Cowes operated by Peter Nunn. Peter has been fantastic when our guests have had special dietary requirements, need drying out after being caught in a downpour and making sure they know where to find the best places to eat in the evening, he always makes sure our guests have a memorable stay. We are busy planning new routes and tour packages for 2011 especially for the cycling side of the business so keep an eye on the website. Happy New Year everyone here?s looking forward to a successful sunny season.